The testing or treating of sexually transmitted diseases can be a sensitive topic for most individuals – especially for those uninformed of the available resources that can provide help. According to the Illinois Department of Public Health, there are over 50 clinics in Illinois that provide care for STDs and HIV. STD clinics are spread across the state of Illinois in various locations – including six in the Chicago area. Chicago, being the third-largest city in the nation, had an estimated population of 2.7 million. Of that estimated population, the 2017 City of Chicago STI/HIV Surveillance Report lists there were 839 new HIV cases, 29,776 chlamydia cases, 10,836 gonorrhea cases, and 813 primary syphilis cases reported in 2016. The number of chlamydia, gonorrhea, and primary syphilis cases continue to rise over the years. In contrast, the number of HIV cases in 2016 was the lowest ever reported in years since in a decade. In Chicago, there are three three specialty clinics that provide free testing and treatment for sexually transmitted diseases. Unfortunately, the location in Englewood dealt with a $2.5 million cut in funding, forcing it to end its free services. These particular locations, in return, offer patients financial relief as they are not forced to pay or prove economic hardships in order to be provided medical attention. Some public health departments, however, offer more than just STD and HIV testing. One particular establishment that offers an array of services is that of Erie Family Health Center. Established in 1957, Erie provides adult and senior health services, behavioral health/counseling, HIV/AIDS care, and dental care to name a few. Gerald Linda, Erie’s marketing director, has been part of the organization for six years. He said Erie “has grown to become the second-largest community health center in Illinois.” Erie is one of very few institutions that is a Federally Qualified Health Center (FQHC); in other words, it is supported by the federal government as long as it meets strict, federal guidelines. Although Erie serves mainly low-income individuals (90 percent happen to live in poverty), all are welcome. In order to better attend those who seek medical services, “being bilingual is a requirement for all personnel,” said Linda. An astounding 60 different languages have been used – some through translator lines. If that weren’t enough, Erie is famous for being a leader in integration. This is an added benefit to patients as there are certified personnel on-site who can provide immediate intervention services focused on mental, behavioral, and dental. The locations for all of the STD clinics in Chicago vary by neighborhood. The six STD clinics are located in neighborhoods such as Roseland, Austin, Lakeview, Uptown, West Town and Englewood. However, some residents say that number is too small. Of the free clinics, the Austin location is on the West Side, Lakeview on the North Side and Roseland on the South Side – these locations vary in economic hardship. According to a report by the University of Illinois at Chicago, Lakeview indicated to have one of the three lowest hardship index values (9.6); yet it still counts with the support of a free STI/HIV clinic location. The hardship index for the rest of the communities with established free STD/HIV clinics are as follows: Austin (55.7) and Roseland (50.5). Not only is Diaz concerned with the limited quantity of STD/HIV testing clinics available to her, but she is also concerned with the locations in which these clinics are. “For my far South friends it is difficult for them to travel to the nearest location only to have to wait long hours … sometimes they rather not get retested,” Diaz said. “I don’t understand why the city continues to look past the importance of having more STI resource facilities available as it’s an essential key to promote safe sexual relationships,” she said. Having access to healthcare facilities is crucial. Within the same 2017 surveillance report, economic hardship was insinuated to have some sort of correlation to high rates of chlamydia and gonorrhea. Areas affected included Uptown, Austin, Englewood, West Englewood, Riverdale, Edgewater, and many more; with Austin and Englewood counting on STD/HIV clinics that do not offer free services. One of the biggest misconceptions amongst youth is the range of services health department facilities offer. Even more so how much one can gain by having access to healthcare. Carolina Ramos (her name has been changed to protect her identity), 27, of Waukegan, recently graduated with an M.S. in Nutrition Education and Research. However, the search for employment within her field has not resulted as successful as she had hoped. Due to her age, she is no longer covered under her parents insurance. Although she relies on her local health clinic for flu shots, TB-testing (which was required by her current employer), and scheduled check-ups, she does not have access to contraceptives. “My job does not provide health insurance and I am ineligible for Medicaid…therefore, I still have to provide a fraction of the cost,” Ramos said. Ramos mentioned two downsides to not having a primary care physician: longer wait times and appointments having to be made far in advance. 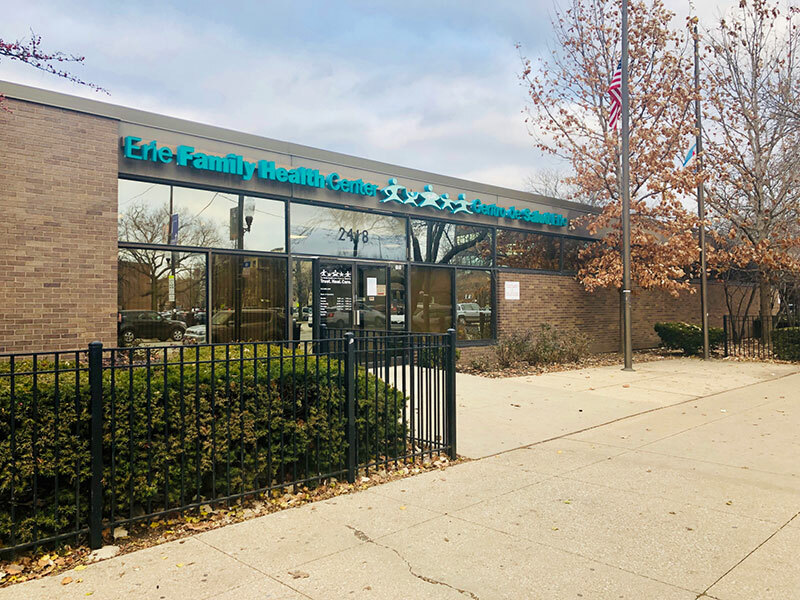 When asked if Waukegan would benefit from an additional health clinic, Ramos said, “we already have more than one – but they specialize in other areas that do not pertain to my needs.